What is it that drives the creativity within the mind of a young child? Is it the exposure to other mediums of art fashioned from the perspectives of well-refined and endlessly experienced creators? Perhaps it is the inspired desire of a blossoming imagination, eager to replicate in real life what they otherwise would find living only in the most fantastical of dreams. The question as to where this initiative stems from is as intricately varied and diverse as the children who express themselves through art. However, not all youth are granted the same opportunities for self-expression and artistry, whether it be due to deficiency of materials, funding, or support. When made aware of the needs of her community, a compassionate and diligent local teen produced a plan to make a difference in both the lives of children, and towards the conservation of our planet. Abby Neff’s story begins with her volunteering efforts at an after-school program designed to benefit youth from low income families. While many of the children participating in the program were eager to create the planned projects and activities, their delight was snuffed out when they found themselves short of time to complete their artwork. Many of these children disclosed to Abby that they didn’t have the means or materials to finish their art at home, forcing them to return to their homes with uncompleted projects, likely never to be finished. Desperately wanting to find a way to aid the children she served in receiving suitable art supplies, Abby found inspiration in what would otherwise be a complicated predicament. Her solution was Recycled Rainbows. Driven by her desire to provide children with art supplies satisfactory enough to incite their creativity wherever they may be, Abby began to collect unwanted crayons that would otherwise be tossed aside and left unused. The crayons she gathered were then melted down and poured into a wide assortment of molds. When finished, these newly created art utensils took on a variety of eye-catching shapes, from animals to flowers to robots and beyond. The crayons were then packaged and delivered to various organizations, charities, and schools within the community, all for the benefit of the kids who received them. 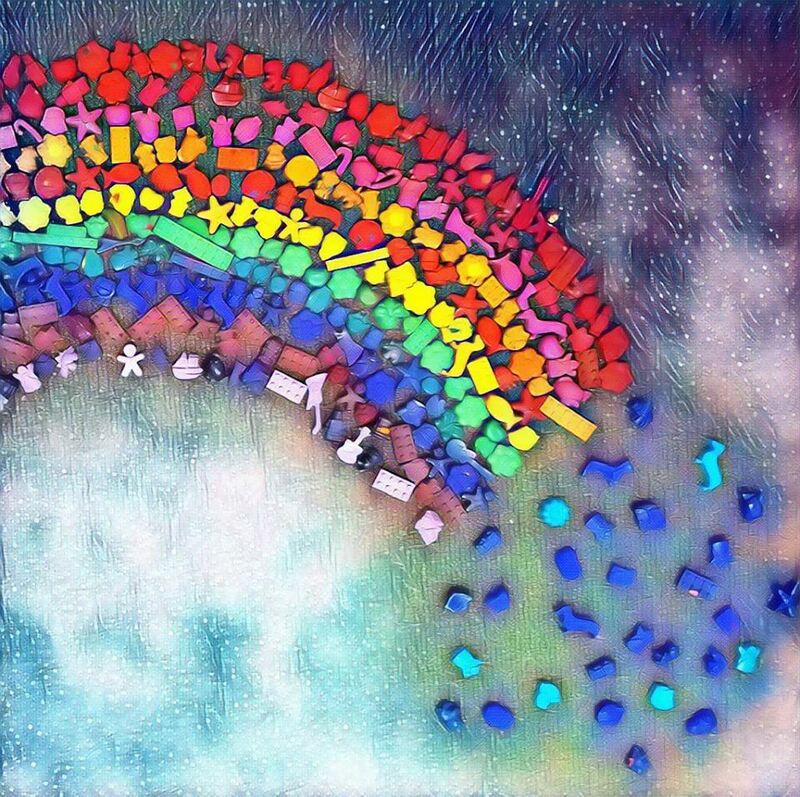 Recycled Rainbows began as a project aimed towards providing children with the necessary supplies to express their inner artistry. The entire undertaking itself however, has stemmed into something far greater and far more important than Abby could have imagined. Not only has her work enabled children to engage in art, but it has also brought awareness to conservation efforts. When visiting schools, Abby gives presentations emphasizing creativity, promoting environmental preservation, and inspiring kids to change the world one idea at a time. Abby’s work has helped countless kids from various backgrounds, including children who may be uncertain of their housing situation, have parents who are incarcerated, face daily financial struggles, and who come from refugee families. Since the beginning of her project, Abby has donated over one-thousand art and science related items to children in need. Twenty-thousand crayons, recycled and remade, have been given to various schools, churches, museums, and nonprofit organizations in locations throughout the country. Her crayons are even utilized in educational programs and sold for fundraising at the DC Booth Fish Hatchery in Spearfish, South Dakota. Through one idea sprung a passion, fueled by the dedication of a person who saw the need in her community, and decided to take action. Abby’s work has touched the lives of countless people across the nation and she continues to relentlessly pursue the belief of a better world, brought together through creativity and conservation. So what is it that inspires the imagination within the mind of a child? Through Abby’s actions we have certainly come closer to the truth. It is with love, bravery, and compassion, that ideas are turned to art.